Sorry, but i don't live on the computer. I check it a few times a day and i was not on it last night. If you can get the dog to work fine with the reel open, then it could be that it's slipping off when you put the reel together? It could also be that it only works fine while it's on it's side but not when the reel is held normally. The dog hooks to the ratchet gear, The leaf springs of the dog clip over the ratchet gear and then the dog slips on the post. There are several versions of the 5000, so without a picture. i don't know which one you have. On most of the older ones, you have to engage the clutch to have room to slide the dog onto it's post. You also have to have the dog already on the ratchet gear thats part of the crankshaft and slide it all together at the same time. Then, you have to be sure that you don't turn the crankshaft at all before the sidecover is on or the dog will swing up and pop loose from the ratchet gear. Most reels have a 2nd post that keeps the dog from swinging up far enough to slip off the ratchet. The older abus don't have that 2nd post and it's actually the inside of the sidecover that keeps the dog from swinging up to far. Also, if the dog is worn out then the leafs will not grab it enough to swing down and catch a tooth on the ratchet. In the case of a worn dog or stretched leaf springs, the dag could work in one position, but not in another. Hope this helps and next time please consider that we all have familes and lives away from here and it can take at least a day or 2 to get answers to questions when there are only a few people that would know the answer. Lots of people will look at a post, but not be able to answer it. Anyone can call me anytime you need advice, just use a cell phone to call because I get unlimited mobil to mobil minutes from any provider. 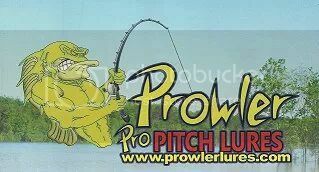 My info is on my website and there is a direct link to that site from my logo in the reels section. or here www.proreelservice.com call between 8am and 9pm central time. yes, I service all brands. Just click on my logo addvertisment at the bottom of this post and that will take you to my website where you can print a service form and send your reels in.